"Laser Treatments for Immediate Pain Relief"
Anyone who has had a cold sore or canker sore knows the pain and annoyance they can bring. They eventually go away over time, but there have been scientific breakthroughs that can provide quicker relief. Canker sores are small mouth ulcers with a white or gray base and a red border. Canker sores appear inside the mouth. They are not contagious, but can range from one sore to several sores and return frequently. Their exact cause is uncertain, but things that can trigger canker sores include fatigue, stress, food allergies and the premenstrual cycle (for women). Biting your cheek or tongue, certain foods or drinks, and having a history of ulcerative colitis or Crohn's disease may also contribute to canker sores. When it comes to treating canker sores, laser treatments give immediate pain relief and help the sores heal in 24-72 hours. Over-the-counter topical anesthetics, a patch called Canker Cover, and anti-microbial mouth rinses may also provide temporary relief during healing. Debacterol is also a great topical agent for canker sores. It is a liquid placed by your dentist on the sore which seals damaged oral tissue and helps in the natural healing process in just one application. It provides immediate pain relief for sores. It's recommended that people with canker sores refrain from hot, spicy or acidic foods that can irritate the sore. Cold sores, also called fever blisters, are fluid-filled blisters on the lip and around the inside of the mouth. The skin around the blisters is often red, swollen, and sore. Cold sores are caused by the herpes simplex virus and are very contagious. The herpes simplex virus usually enters the body through a break in the skin around or inside the mouth. The herpes simplex virus is spread when a person touches a cold sore, shares eating utensils or razors, kisses an infected person, or touches that person’s saliva. The initial virus infection stays in the body and causes occasional attacks. For some people, the virus remains inactive or dormant. For other people, cold sores can return with a fever, sunburn, stress, emotional upsets or a break in the skin. A canker sore or cold sore can take a couple of weeks to heal, but when treated with a laser, it's usually healed in a couple of day and may not return to the same location. Healing can take as long as two weeks. So it is important to begin laser treatment before the sore has had a chance to develop fully. Laser treatments can give a person immediate pain relief and the cold sore will usually heal in 24-72 hours. Each laser treatment takes just a few minutes, causing virtually no discomfort during following laser treatment. For fast relief and better results in the long run, laser is an ideal option. Over-the-counter topical anesthetics can also give some relief. Dr. Sally Kashani may prescribe antiviral drugs to help prevent outbreaks and manage discomfort. If you have a cold sore or canker sore and want medical care, please call (818) 508–7272 and schedule an appointment. 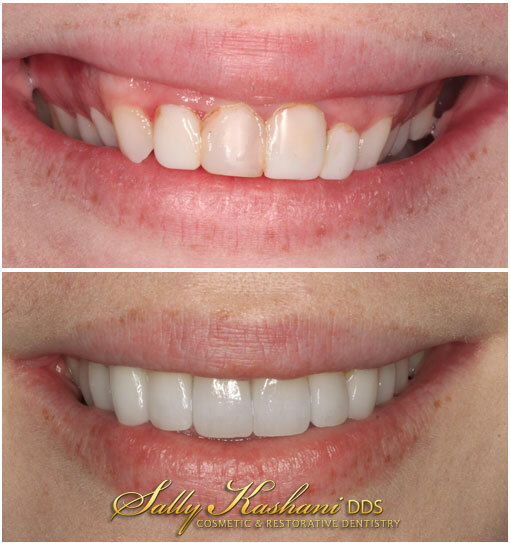 Dr. Sally can quickly provide you relief with laser and other options.